We’re entering a phase where AIDS is moving from emergency crisis financing to sustainable development financing—which is a major challenge, but one that we’re continuing to tackle, with the goal of stronger national ownership and responsibility. One of the Bank’s international mandates is to support countries to develop better national health plans and budgets. Today, the Bank released an important study, The Fiscal Dimension of HIV/AIDS in Botswana, South Africa, Swaziland, and Uganda, which is a part of this mandate. The study helps countries do the long-range planning that we so desperately need in HIV programs. The Bank has a long-established partnership with ministries of finance and planning, and we understand country systems. We stand ready to help countries integrate HIV into their programs and plan for it in a sustainable way. We’ve seen extraordinary progress in AIDS. Today, we have more antiretroviral drugs to treat HIV than every other virus in history combined. We’ve reduced treatment costs from tens of thousands of dollars to as little as $100. 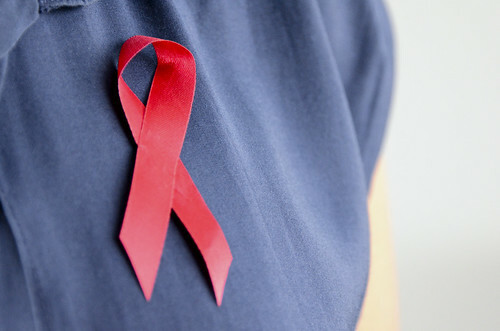 And we’ve expanded our understanding of effective HIV prevention, including the role of male circumcision and the important role that treatment can play in prevention under the right circumstances. Many of us involved in HIV remember the days when 70% of beds in health facilities in Africa were occupied by people with AIDS. Our successes in treatment and prevention have removed this specter and have allowed health systems to focus on other important health priorities. Investing early in children: what will it take to spur integrated action? Last week, the World Bank hosted the Washington, D.C., launch of The Lancet’s 2011 child development series, four years after the journal revealed that more than 200 million children under five in low- and middle-income countries were not reaching their developmental potential, due to (preventable) risk factors like stunting, iron and iodine deficiencies, and lack of cognitive stimulation. The latest research findings in The Lancet provide even greater clarity on the developmental inequality that continues to plague many millions of children. As a World Bank staff member, I feel privileged to have participated in two landmark global public health events. In June 2001 at a UN General Assembly Special Session, world leaders collectively acknowledged—for the first time—that a concerted global response was needed to arrest the HIV/AIDS pandemic. This led to the establishment of the Global Fund and bilateral initiatives such as PEPFAR, which helped fund a scaled-up response to HIV/AIDS, as well as to malaria and tuberculosis. The net result for the most part has been impressive: a dramatic expansion in access to treatment that has saved millions of lives, a significant reduction in the vertical transmission of HIV (mother to child), technological progress resulting in cheaper, more effective treatments, and better knowledge about HIV transmission to guide prevention efforts—while highlighting the need to revamp health systems to make the effort sustainable. I’m in New York this week at the UN Summit on Non Communicable Diseases (NCDs), where more than 30 heads of state, 100 ministers, international agencies, and civil society organizations are discussing a pressing global health issue: NCDs. This is a policy nod in the right direction, as NCDs have been largely ignored in development circles even though they cause two-thirds of all deaths in the world (most of them prematurely) and long-lasting ill health and disability, and due to NCDs’ chronic nature, increase the risk of impoverishing millions of people who lack or have limited access to health systems.